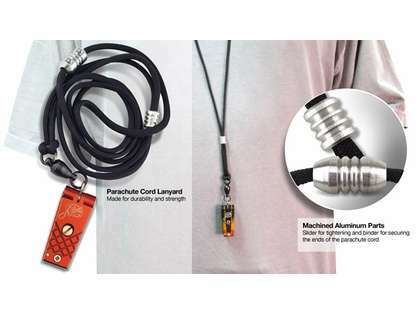 The Abel Nipper Lanyard comes with lanyard cord that is paracord, which is a lightweight Nylon rope originally used in the suspension lines of parachutes, making this cord strong so it won't break. 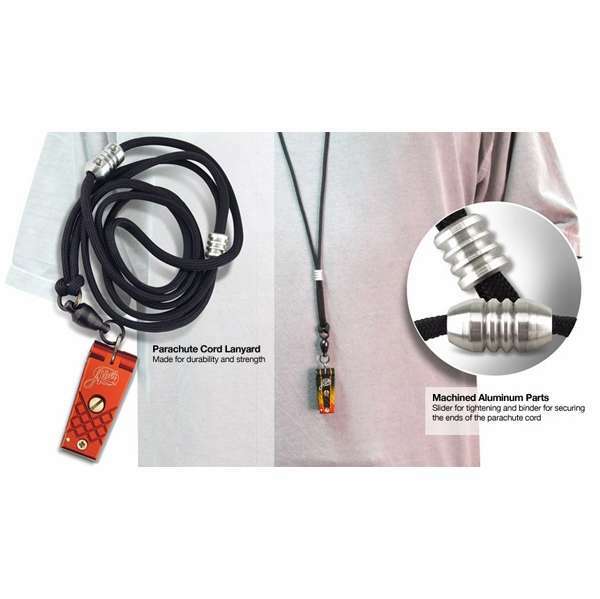 The swivel of this lanyard is a Sampo patented ball bearing stainless steel with a welded ring for attaching the Nipper tool. The swivel and welded ring are finished in a non-glare stealth black. The slider and cord connector are Abel machined aluminum with stainless steel set screws, clear anodized.